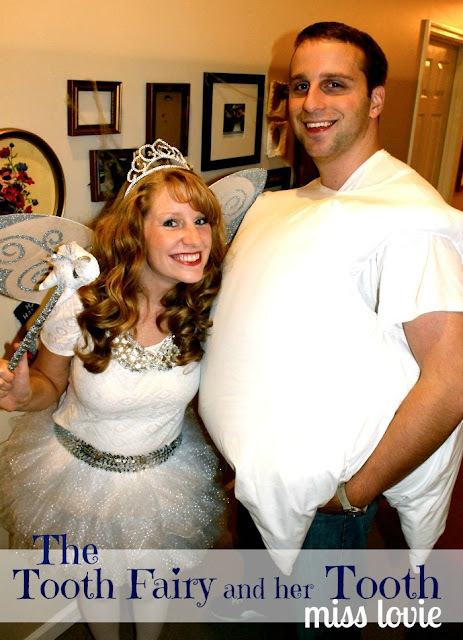 Miss Lovie: The Tooth Fairy and her Tooth Costumes and Happy Halloween! 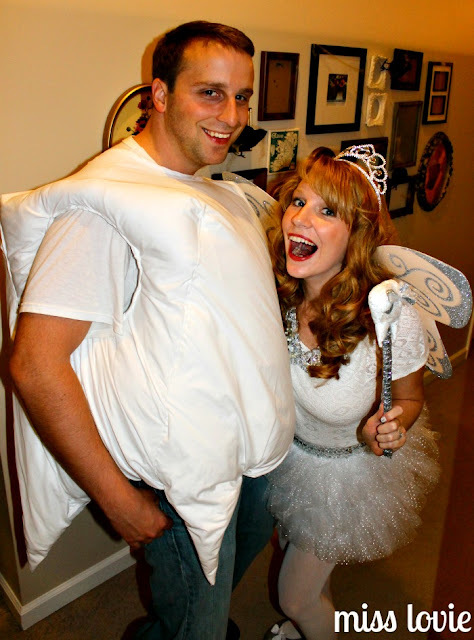 The Tooth Fairy and her Tooth Costumes and Happy Halloween! Happy Halloween! !I hope you and your family are having a great time Trick or Treating and celebrating my favorite holiday! 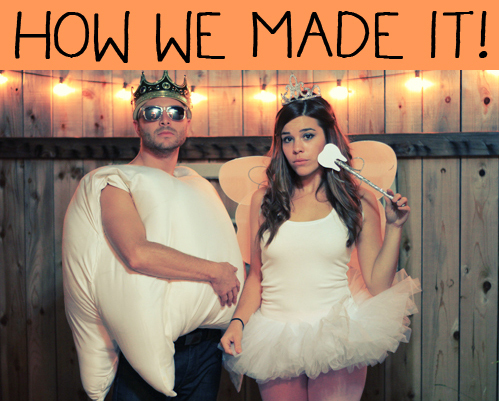 This was one of the most fun costumes we've done. I got the idea from Julie Ann Art, the blog. She has a tutorial on her blog on how to make the tooth. While it seems easy, it is incredibly awkward to sew. Her instructions are great, it was just awkward. I got through it and I really don't want to throw the huge thing away because I spent a long time on it. Anyone need a giant tooth costume??! Maybe we'll just use it as a pillow. Oh and if you haven't visited Julie Ann Art, you should. 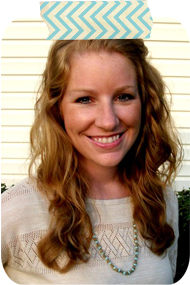 Her blog is super fun and she has a funny Etsy greeting card shop. I loved this idea because I got to make a fun tutu. And the wand was ridiculously fun to make, too. I'm not a "princess"-type, but making and wearing that tutu were really fun. My friends got a kick out of me wearing a tiara. I don't think it has ever happened before and probably won't again. I also made the collar necklace. I never intended on using it afterward, but now I kinda love it. Ha. I wasn't sure about that trend until I wore it. I'm going to try to do a tutorial on it soon. :) I'll probably do one on the wand, too. I want to make more to use as pointers in my classroom. My friends had some pretty awesome costumes, too! 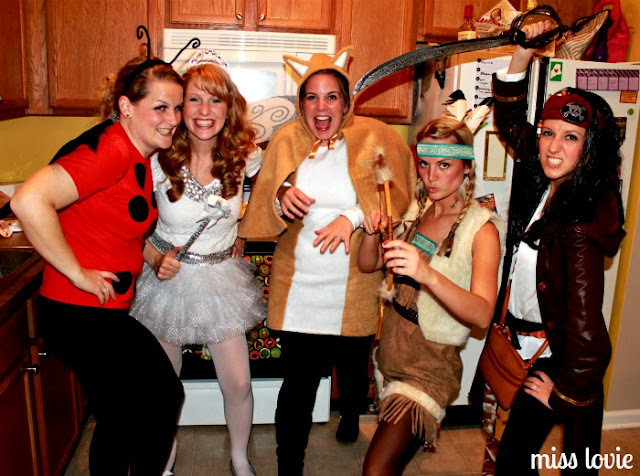 A lady bug, a tooth fairy, a fox, a stylish Native American, and a pirate are obvious friends. Hahaha that's awesome! The perfect couple's costume! that is hilarious and super cute! Just saw your guest post at 30 handmade days and decided to check out your blog! Loved the necklace, have been thinking about making one just like that for a long time. I'm a new follower, and I'm off to check out some more posts! 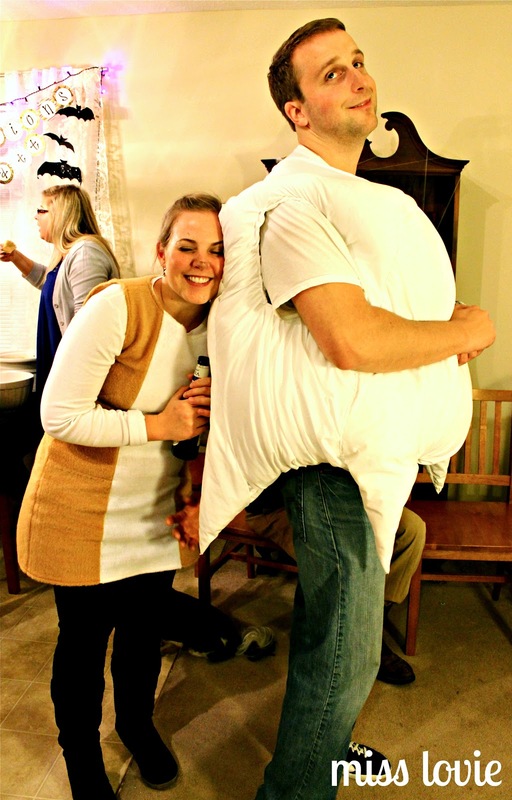 Do you still have that tooth costume? I am a dental student and going as the tooth fairy this year. I will buy your tooth costume for my boyfriend!